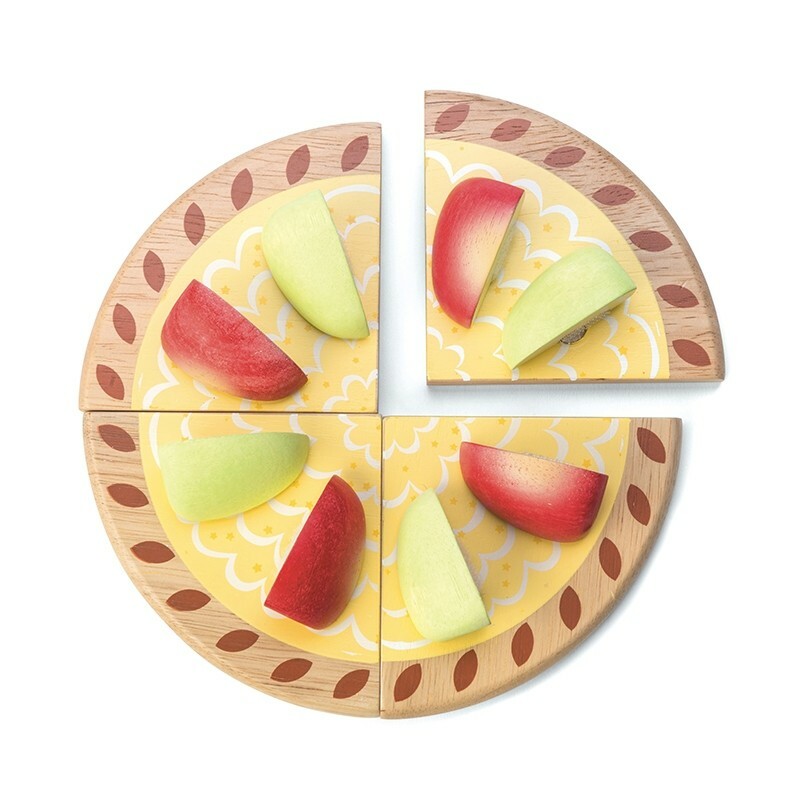 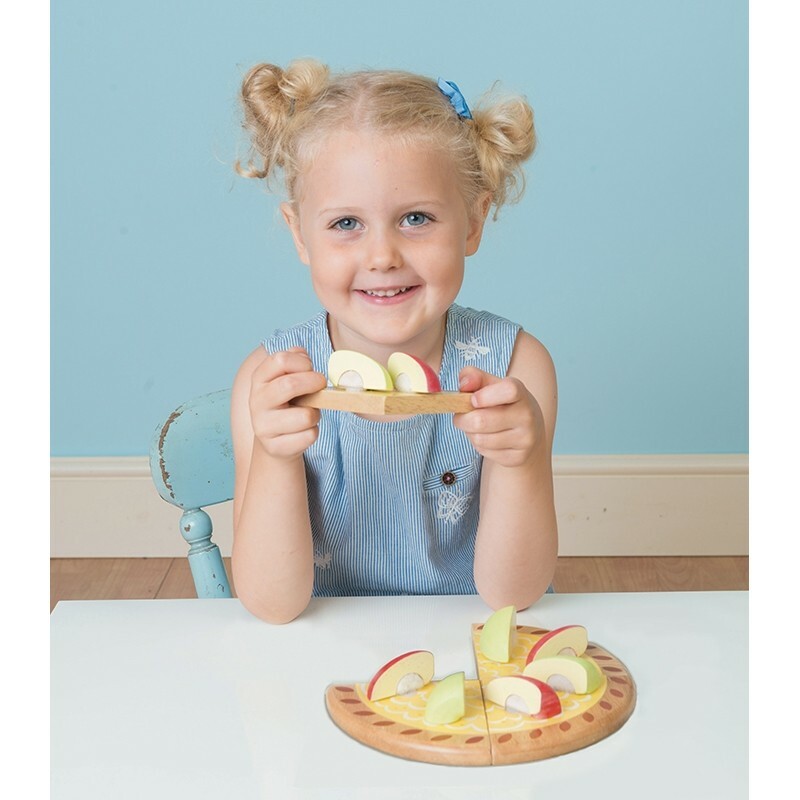 A solid rubberwood apple tart composed of 4 base slices and two apples, that split into eight quarters. 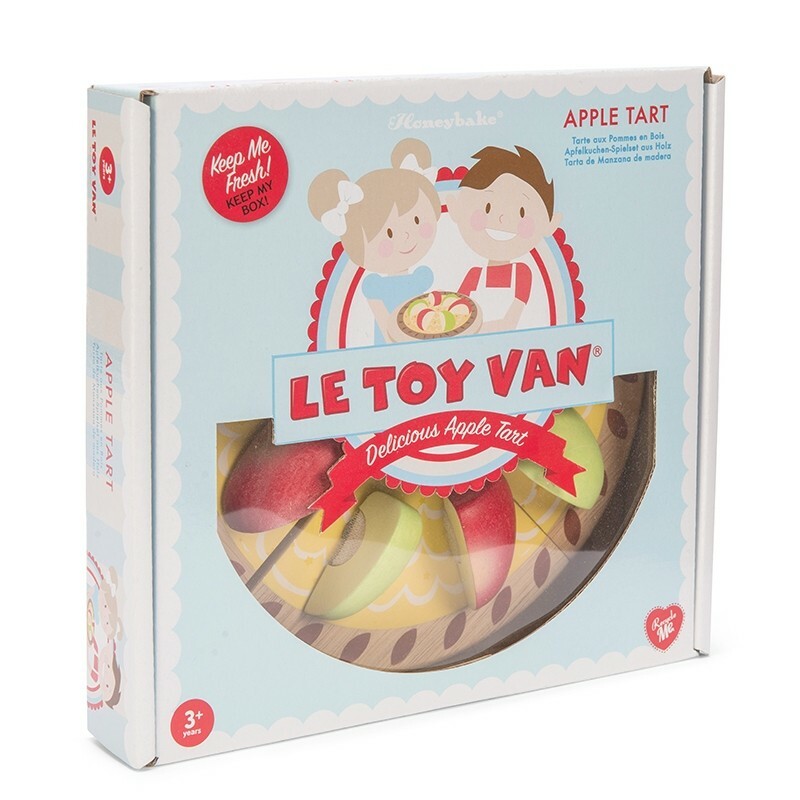 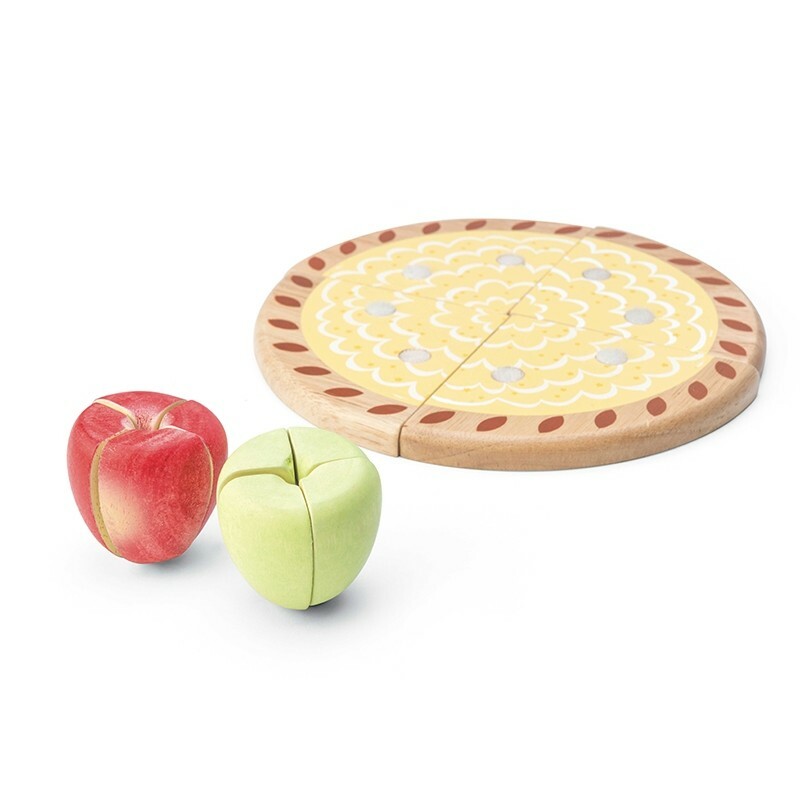 The two wooden apples (red and green) are detachable with velcro patches and can be placed onto the matching velcro patch on the tart slices. 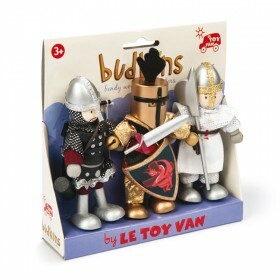 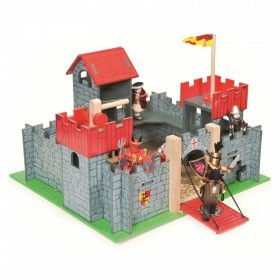 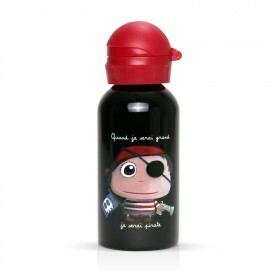 This set is a great addition to the Honeybake pretend play collection.